So I had this idea to do an illustration showing that the Easter Island statues have an underground component. I finally got it done and made it into a tshirt design. 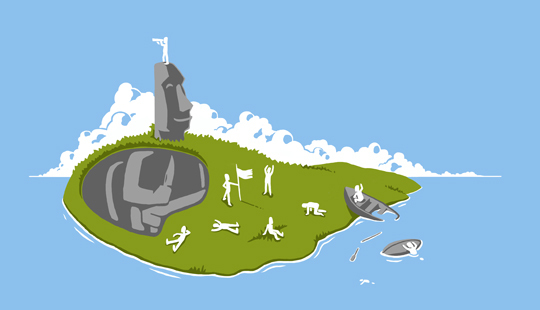 I don’t think it makes a great tshirt design – it’s a pretty illustration and has lots of little details to look at. On top of that, many of the comments suggest people can’t make out the underground part very clearly. In retrospect I agree, and have some ideas on how to fix it. I don’t think I’ll resubmit an updated version, but might revisit it in case I want to make a print.